With a beguiling face and an outstanding personal style, fashion model Ruka has been the talk of Japan, gracing a variety of fashion magazines. In the brief year since coming to the Land of the Rising Sun from China, Ruka has learned to speak fluent Japanese and become a big Japanese culture buff. 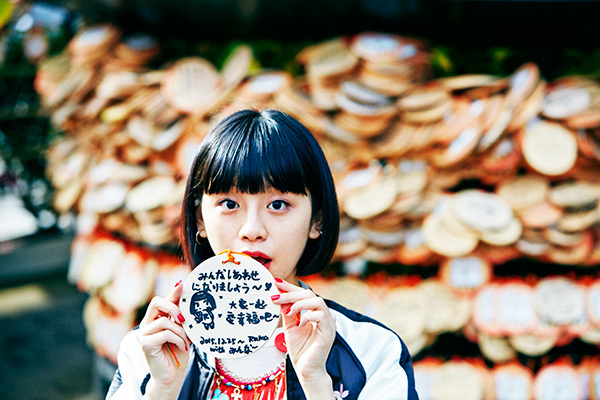 Here, Ruka maps out a tour of Tokyo’s top must-see sites and hottest tourist spots. First up: a tour of Asakusa! Start your tour by taking a rickshaw from Asakusa’s Kaminarimon! “When one of my friends comes from overseas, this is the first place I want them to see!” says Ruka, as she heads from Asakusa’s Morning Market to the Kaminarimon gate at the temple of Senso-ji. Properly known as the “Fujin-Raijin-mon,” named after gods of wind and thunder, the gate has remained an enduring symbol of Asakusa. Ruka notes:“You can see the giant paper lanterns even from afar, and they make such an impact when you see them up close!”Today, as always, Kaminarimon is bustling with temple visitors and sightseers! Next, we board a rickshaw and roam Asakusa to set a proper sightseeing mood and get a proper taste of traditional Shitamachi atmosphere. Settling into comfortable seats covered in red velvet, with a lap blanket to guard against the cold—it’s the perfect start for our tour, and we’re finally off! For the day’s events, daily fashion, fun stuff about Japan, tasty food, and other cool news, follow Ruka on Instagram (@ luluxinggg) today! We board a rickshaw again and head for the Skytree, which stands out clearly against the Azuma Bridge. This time, our host is Hiroki Oya of Rickshaw MATSUKAZE. 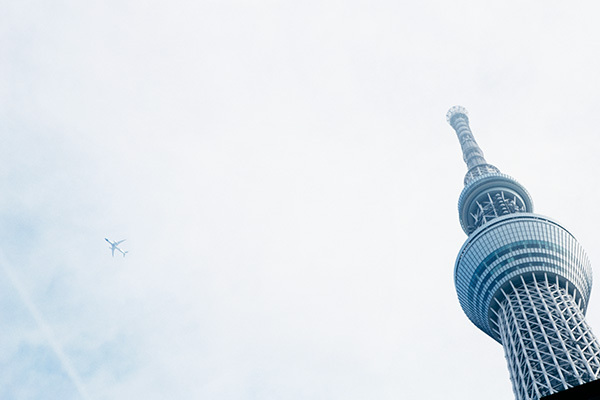 Visitors are charmed by the Tokyo Skytree, whose design evokes the beauty of traditional Japanese architecture. 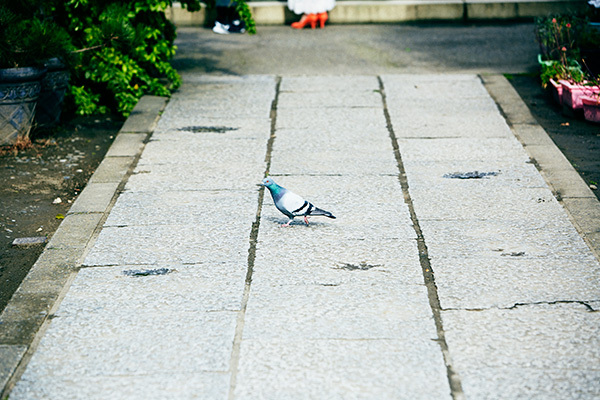 Take a good look at it after a stroll through Shitamachi, and you’ll gain a true appreciation of its design, which blends in so harmoniously with the surrounding city. Tokyo Skytree Town also connects to the popular shopping spot Tokyo Solamachi. The plaza hosts a wide variety of over 300 stores—fashion boutiques, department stores, cafes, restaurants, and more. Ruka enjoys strolling about the plaza; suddenly, she stops in front of the BEAUTY&YOUTH UNITED ARROWS location, then dashes in, as if something’s caught her eye. Moving on, we arrive at the next floor up, which features more fashion shops and department stores. 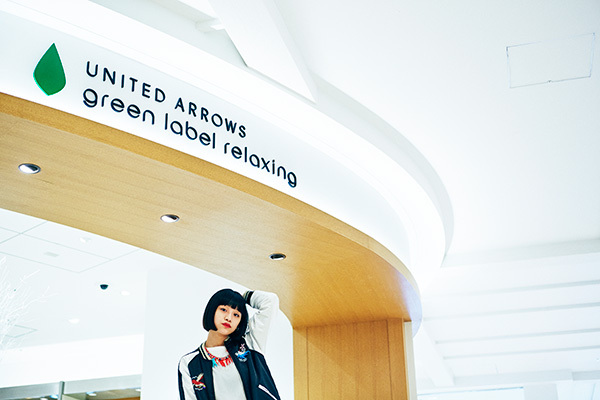 We enter UNITED ARROWS green label relaxing, where Ruka resumes shopping mode, knit tops in hand, weighing which is better. Browsing the store, Ruka says, “They have a lot of ladies’ apparel with just the right dash of trendiness, and I found a lot of stuff I’d like for spring!”She smiles, satisfied. The shops see many guests from overseas; purchases at both UNITED ARROWS green label relaxing and BEAUTY&YOUTH UNITED ARROWS are duty-free. Finally shopped out, we head for our final destination, one that Ruka’s always wanted to see: Imado Shrine. 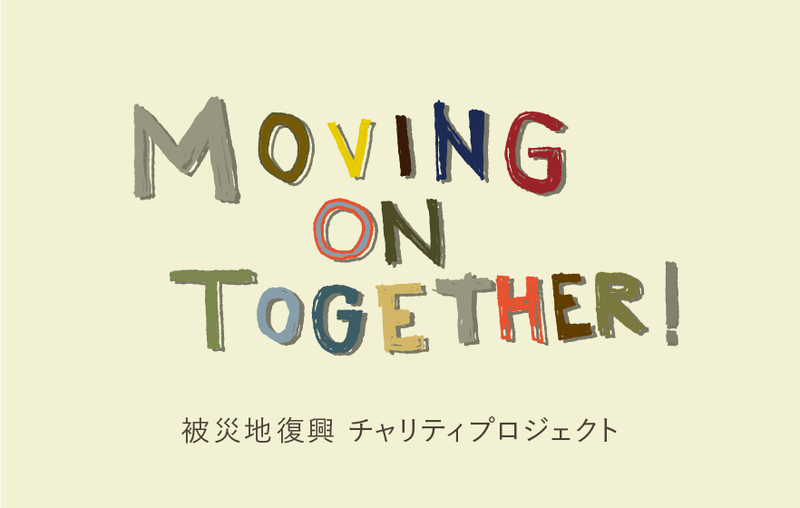 Dedicated to the god of marriage, it recently has become fashionable as a“marriage-hunting power spot.”Not only is it popular among Japanese women, but it is gradually finding favor among overseas tourists. 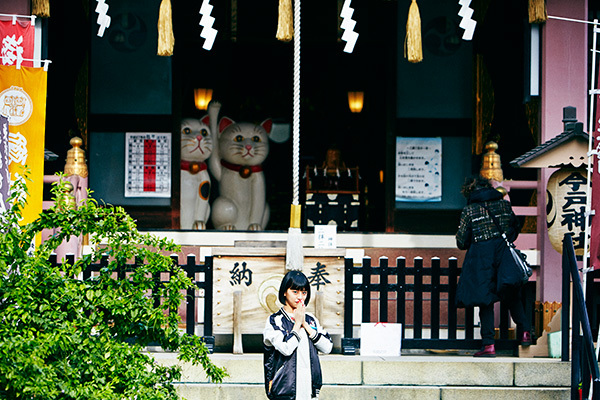 Ruka also looks about intently, saying: “I heard they have some really huge manekineko lucky cat statues; I wonder if it’s true?” And, indeed, this shrine is manekineko holy ground. We’re anxious to press on to the main temple, but we first stop to cleanse ourselves at the holy water pavilion. 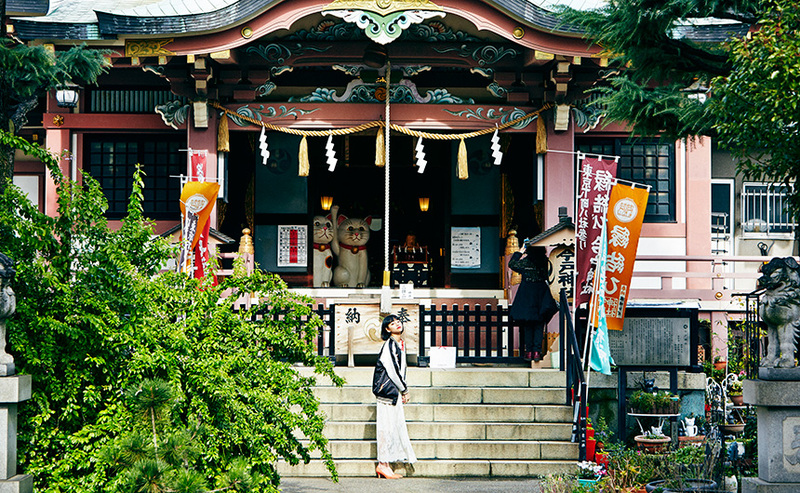 We donate an offering, make a wish, and open our eyes…to be welcomed by a huge manekineko right before us! Throughout the grounds, we also find a slew of other cats—paired, to bring luck in finding one’s partner, they say. “Wow! There are even more here! They’re so cute!” enthuses Ruka, finding a cat-shaped watering can in a space for a tiny flower bed. Of course, manekineko are the stars of the votive pictures as well. The votives at Imado Shrine are round, lacking right angles, to encourage metaphorical smooth sailing in relationships and avoid rocky developments.“I wonder what I should wish for?” muses Ruka; then in smooth Japanese and Chinese, she writes: “May we all be happy.” …Perfect! 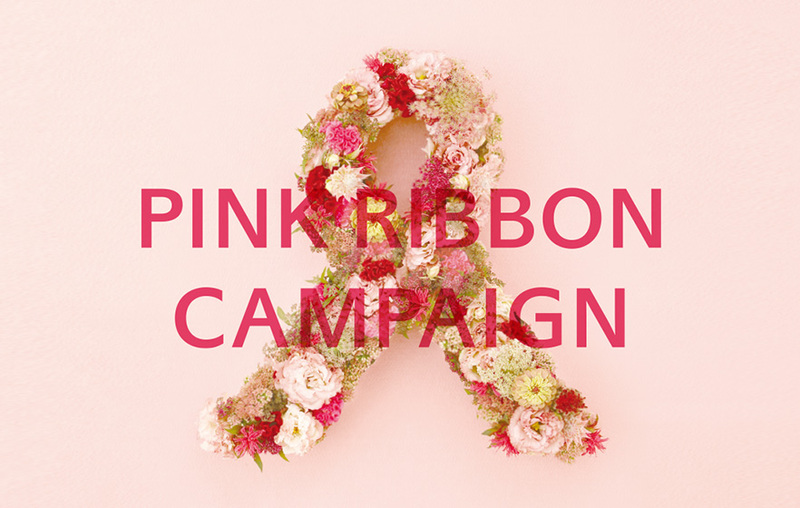 Surrounded by our many feline friends, we secure our wishes firmly with red string, then bow. 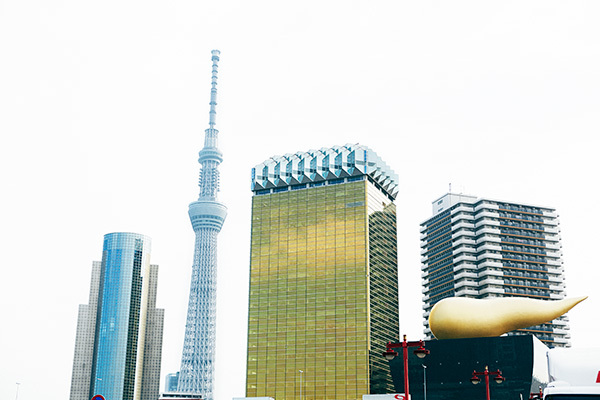 Ruka introduces you to the most enticing sightseeing spots of Asakusa. For her next feature, Ruka gives a tour of Ginza. From the down-home atmosphere of Shitamachi, Ruka heads for a more adult side of the city. What does Ruka have in store? Find out! 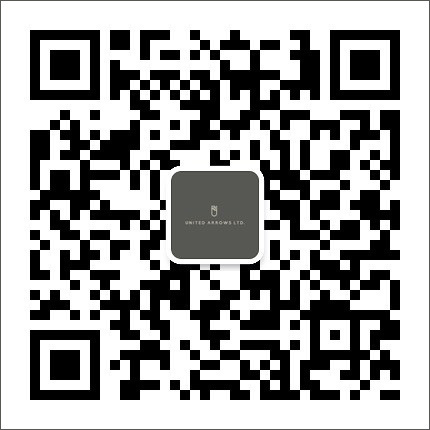 UNITED ARROWS LTD. official WeChat has launched. Born in 1992. Made her modeling debut after photos posted by friends on SNS caught the eye of producers. In 2015, she came to Japan, where she since has been featured in magazines such as NYLON japan, SEDA, and mini, as well as modeled in many Tokyo collections. Her life-size photos of her face without makeup on her Instagram（@luluxinggg）have become quite popular. 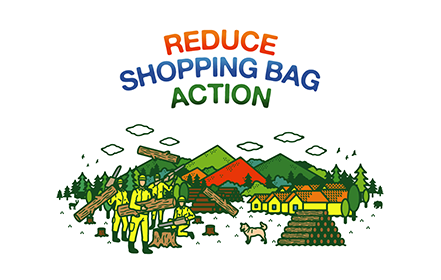 Willing to convey attractiveness of Japanese retailer. 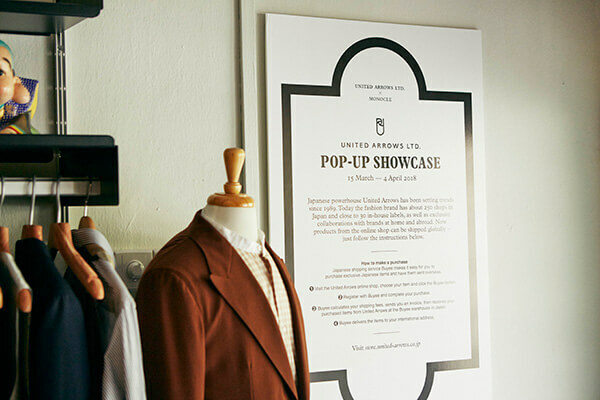 The pop up in Singapore by United Arrows Online Store wished for. 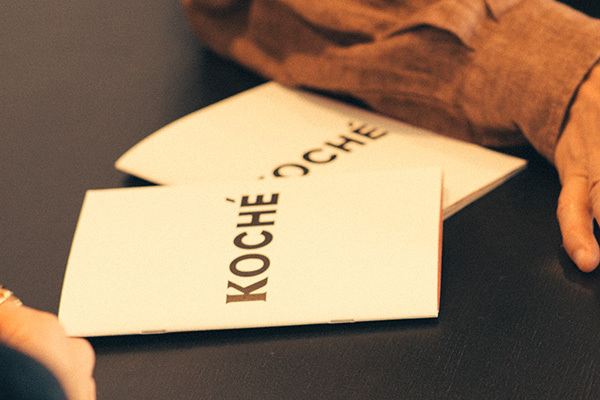 The Creativity of KOCHÉ, Let Loose on Harajuku-Street.